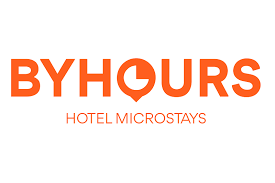 ByHours, a Spanish tech company is currently offering more than 2,500 hotels in Europe, MENA and the Americas that can be booked in “packs” of three, six or 12 hours, depending on need. In UAE also, ByHours is selling new stays to the tourists. It is the first booking platform for microstays, where hotels can be booked on an hourly basis, has launched in the UAE. There are big brands such as Accor, Melia, Holiday Inn, Hyatt and IHG have all signed up in various locations. The new updated service helps all the hotels which sell unbooked rooms for at least part of the time they are empty, and affords travellers the opportunity to save on the normal full room rate. It is useful for those working long hours in one city but living in another, or those on short stopovers who want access to a hotel room to briefly rest and refresh. The app, available to download in the Apple App Store and on Google Play, and also works as a normal website, requires a credit card and reflects a current trend in the travel industry for tailored pricing, which extends to services such as hotel rooms, car and bike hire. While day rates have been available at most UAE hotels for some time, this is the first time shorter stays have been sold. However, so far in the UAE at least, the Byhours prices are not proportionately lower, meaning that a room booked for half of the normal 20-hour period (checking in at 4pm and out at midday) is still more than half the cost. Byhours offers 65 hotels in Dubai, 5 in Abu Dhabi, and one each in Sharjah and Ras al Khaimah. A six-hour stay at the Corniche Hotel in Abu Dhabi on April 10th comes in at Dh190 including taxes, a saving on the normal room rate of Dh270. At the Eureka Hotel in Deira, Dubai, a 3-hour stay is priced at Dh73. The full overnight rate starts at Dh135 including taxes. Αναρτήθηκε από geop στις 12:50 μ.μ.